1.Overheat and Damp Environment is Not Recommended. 2.Turn It Off When Cleaning. 3.Don't Clean It With Hard Metal or Corrosive Liquid. 4.Don't Take It Apart By Nonprofessional Staff. 5.Take Out the Batteries If You Will not UseIt In Near Time. 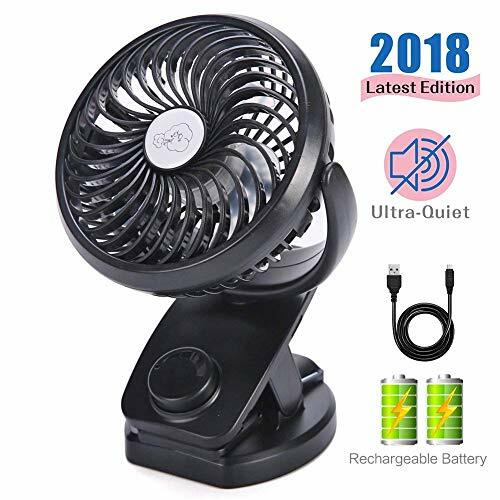 FEATURES: Powered by a USB Cable or Battery (Rechargeable Battery Included), The Fan Can Rotate Horizontally or Vertically. CHARGING: FAN MINI WITH CLIP Can Be Charged Through Adapter/ Computer/ Power Bank etc(DC5V), The Red Indicator Will Flash During Charging, and Will Stay On When Fully Charged. MINI FAN APPLY TO: Baby Stroller, Car, Gym, Office, Outdoor, Travel, Camping etc. If you have any questions about this product by REENUO, contact us by completing and submitting the form below. If you are looking for a specif part number, please include it with your message.